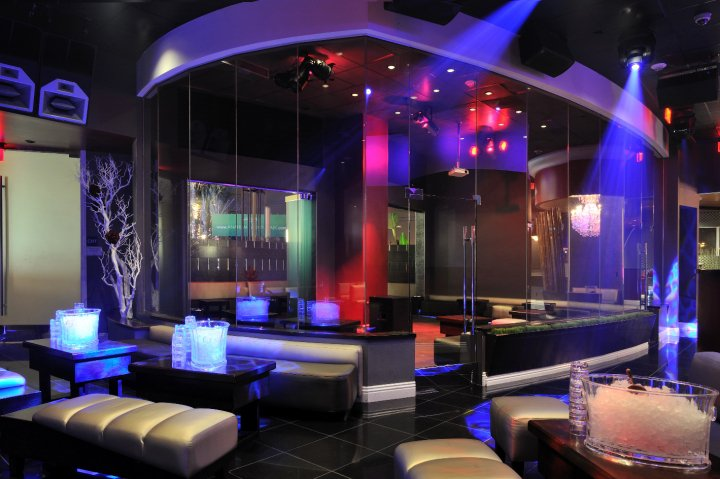 Rent Heat Ultra Lounge | Corporate Events | Wedding Locations, Event Spaces and Party Venues. Heat Ultra Lounge is the Hottest New Venue available for Special Events to come Orange County in years. It is beautiful in design with an inviting ambiance that is as hip and cool and sleek, as it is luxurious. Nothing was spared in the design elements present at Heat. It’s intoxicating design was created by the genius of Nikko Hendi. Decorated in rich colors of deep red, slate grey and dark wood tones with a combination of modern sleek lines infused with natural elements and the dazzle of three beautiful crystal chandeliers. Complete with an expansive Function One Sound System and multi million dollar Martin lighting system, this venue is state of the art and one of kind! With two uniquely different and luxurious areas to entertain in, this space can accommodate up to 800 guests, but can be easily being separated into smaller sections as well. It is a perfect venue for any type of corporate party, holiday party, product launch party, client appreciation event, record release party, wrap party or any type of private event.